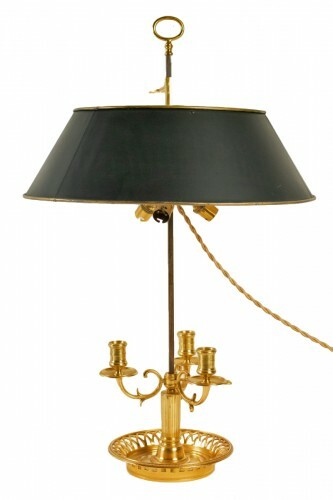 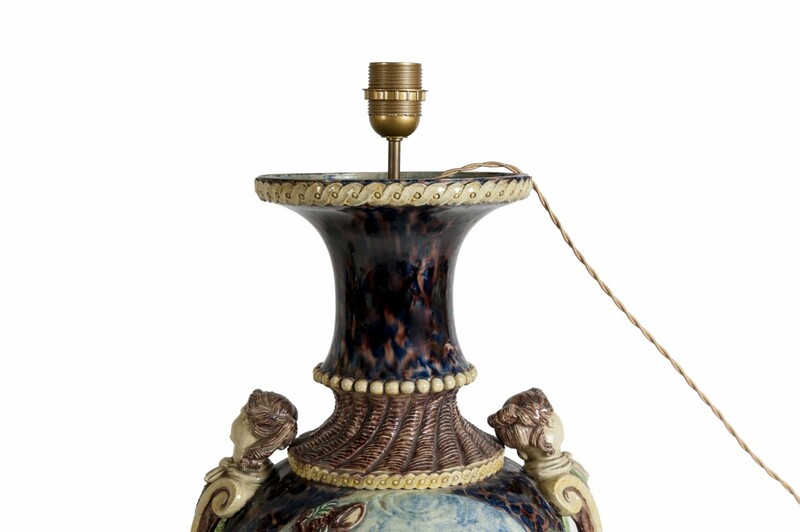 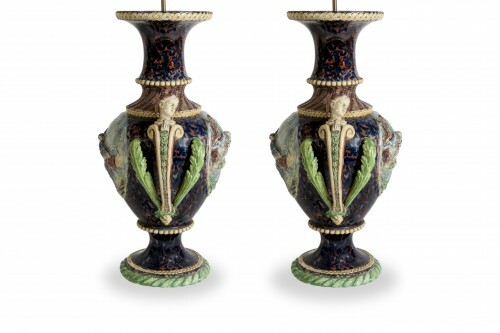 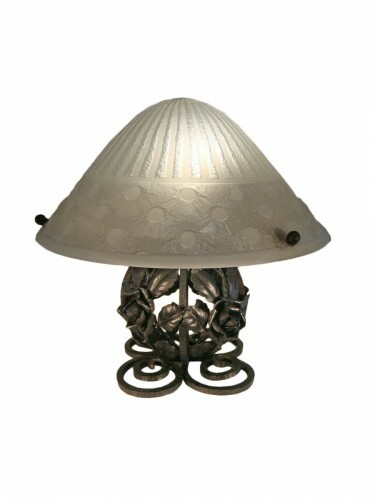 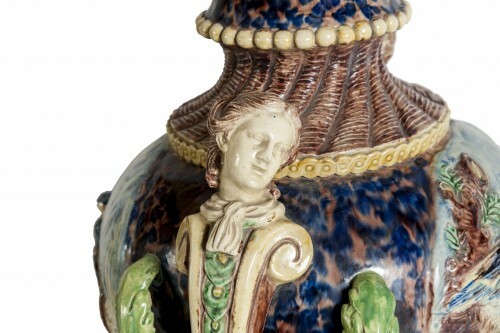 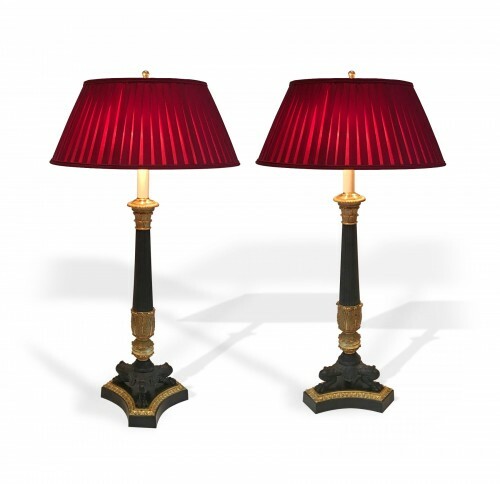 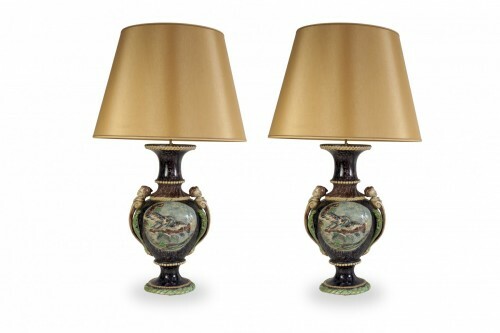 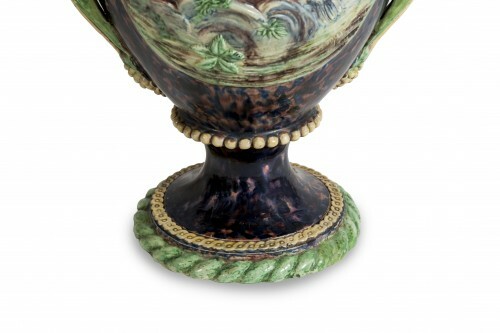 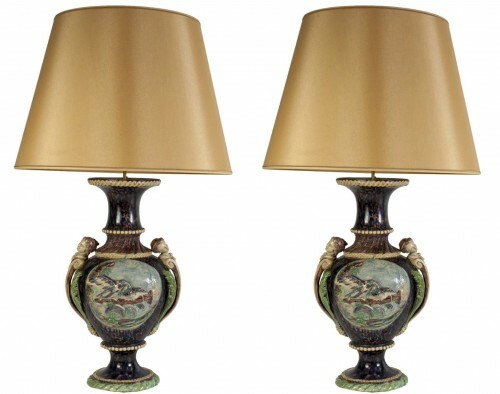 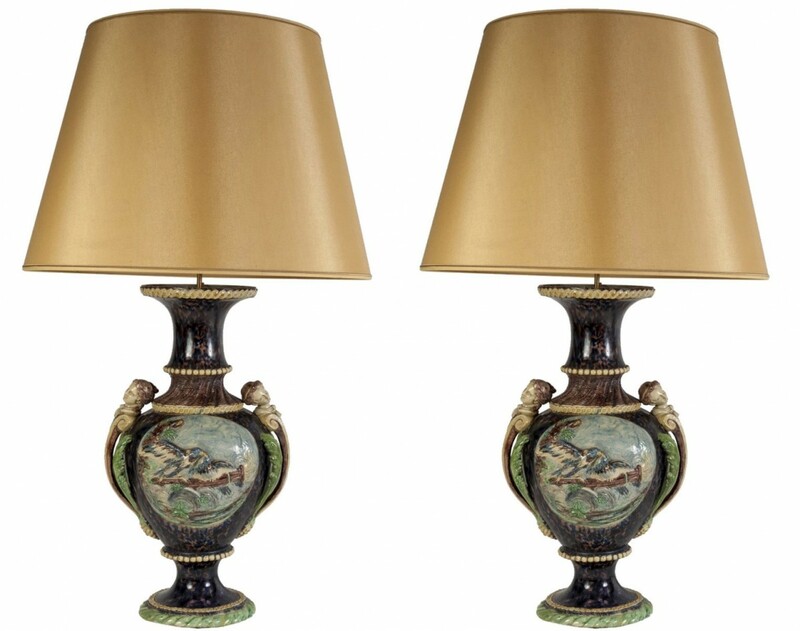 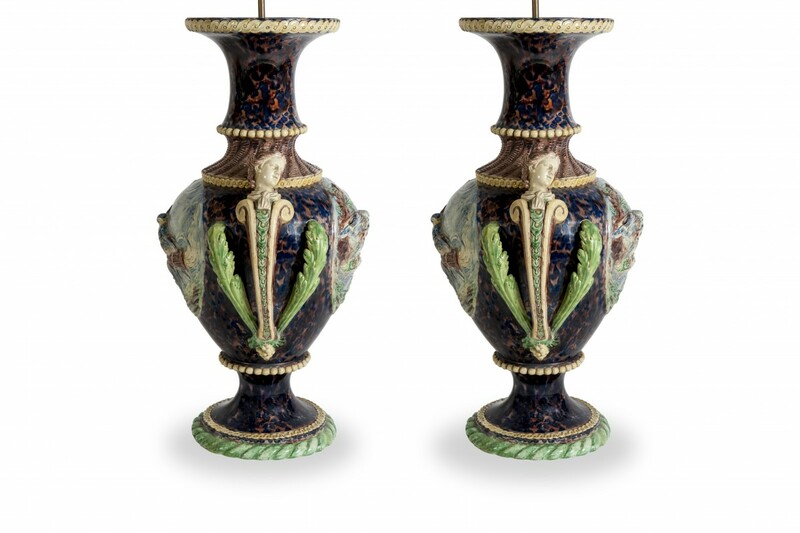 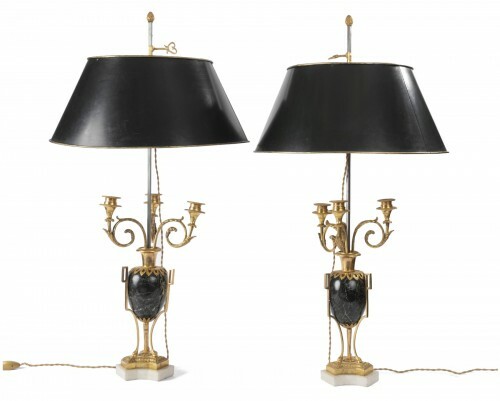 This pair of vases mounted in lamps is undoubtedly the work of Thomas Victor Sergent. 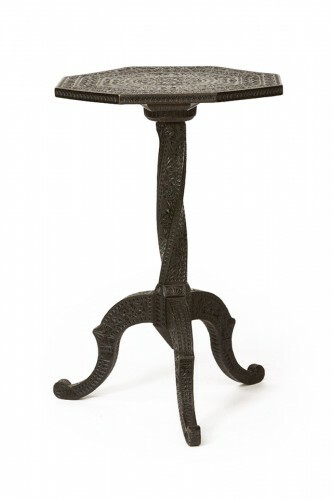 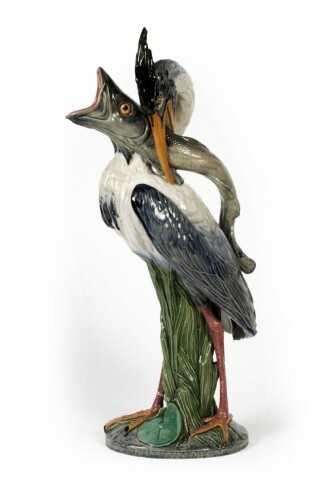 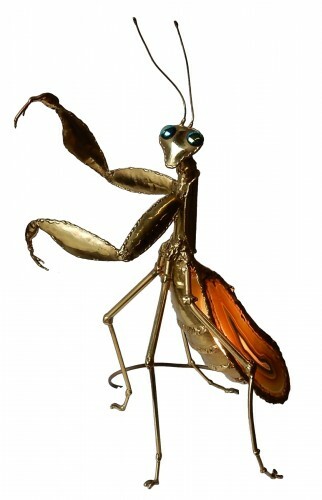 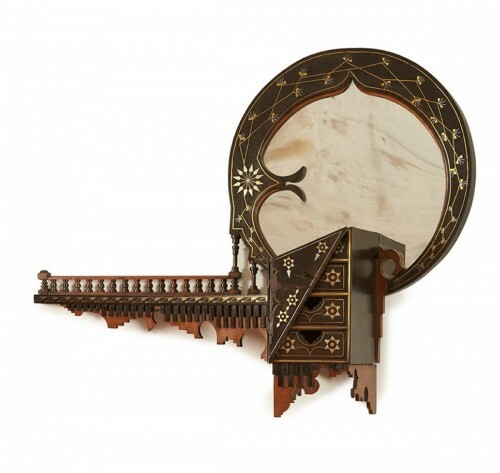 Leading member of the School Palissy and his Followers in Paris, he draws inspiration from the ancient ceramics to create their own decorative vocabulary. Here we find all the characteristics of his work: bright blue, references to the antique and renaissance and the mix of styles. 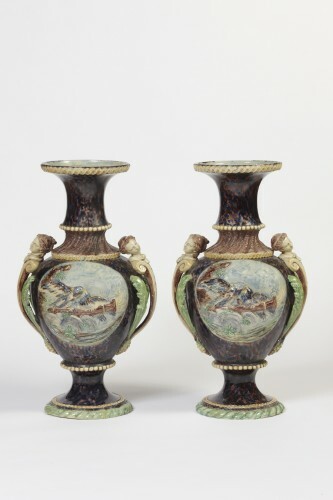 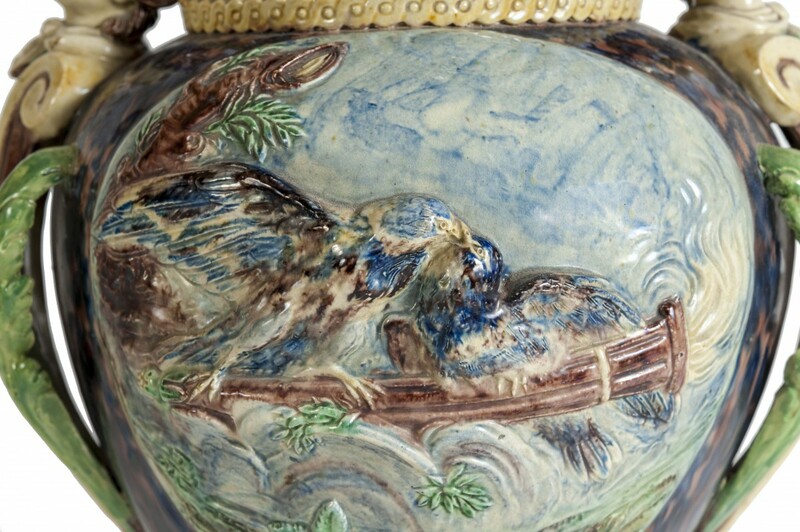 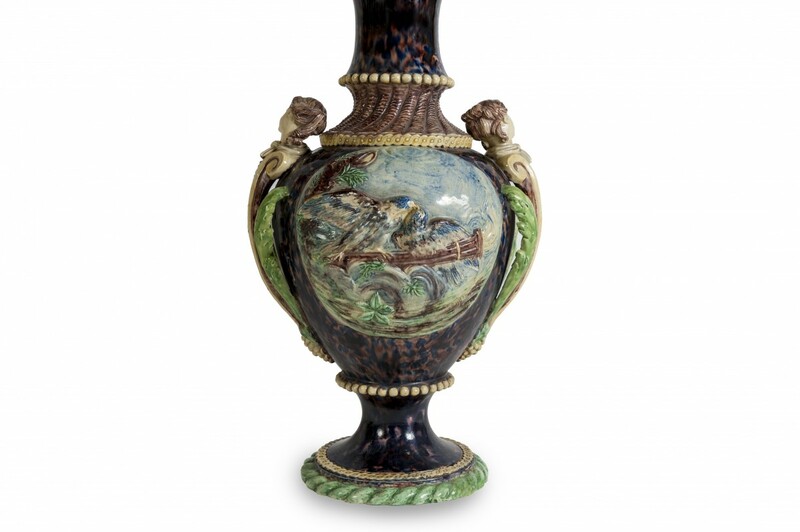 The decor is very poetic : The birds in the center, the women-shaped handles, the effects of vaporous landscape give a real charm to theses vases.